Comment: Septic tank full and leaking in yard. Comment: I have a pressure replacement valve but I don't know if it will take care of the problem of the well pump not going on. Need to have the pressure valve replace and the pump checked out. Comment: Need a tank and leech field, currently have a old junction box and a leaky leach field. 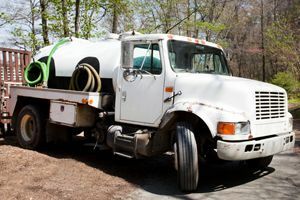 Oklahoma City Septic Tank & Well Services are rated 4.75 out of 5 based on 102 reviews of 7 pros. Not Looking for Septic Tanks & Wells Contractors in Oklahoma City, OK?